The Stavros Niarchos Foundation Cultural Center (SNFCC) is modern architectural elegance at its best. A glass-fronted multi-angular building is built on the edge of the Faliro Delta and perched above a hill that connects and punctuates it into the Athenian skyline. 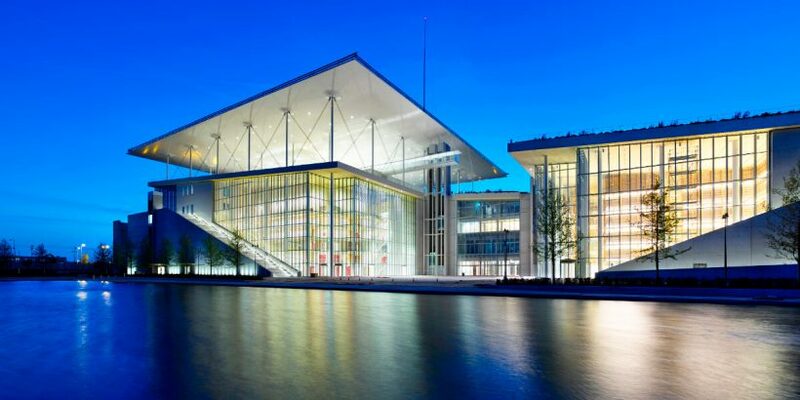 It was in 2006, well before any sign of the global or Greek economic crisis, when the Stavros Niarchos Foundation announced its intention to fund the development of a cultural centre in Athens, that would encompass a new home for the Greek National Opera and the National Library of Greece. More than a decade later, they have done just that. 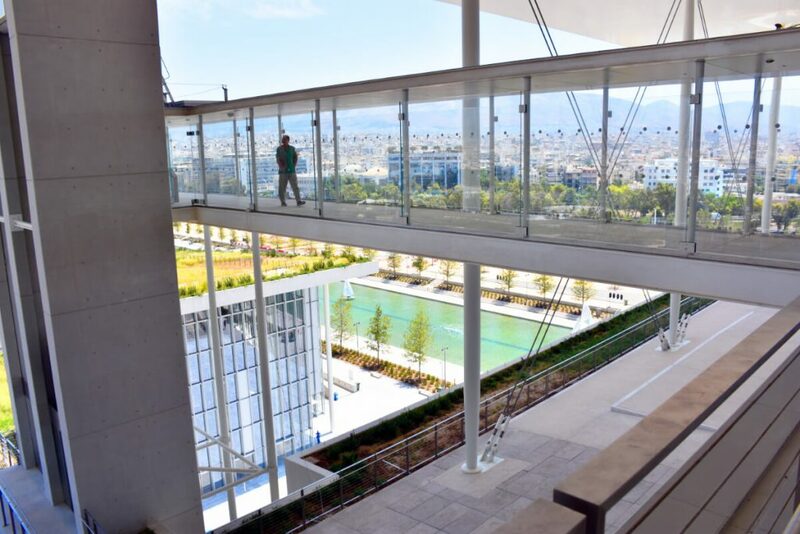 The newly erected SNFCC has pushed Athens well into the 21st century, providing its citizens with some much needed hope and vision for the future. Italian architect Renzo Piano’s approach was prophetic, perhaps realising or encouraging the expansion of the city’s boundaries. 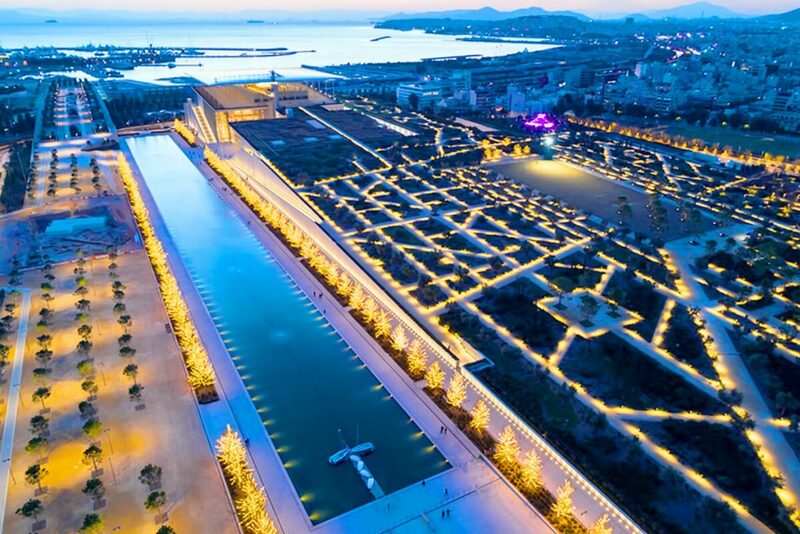 The use of large wide-open spaces are designed to bring people together, almost like a city within a city, complete with its own agora, library and a 400-metre artificial canal, that was built to honour the ancient port of the Phalerum, that once thrived here. Piano’s design integrates lookout points from several high platforms, including the ‘Lighthouse’, but also through floor to ceiling glass panels that engulf the building and allow you to continuously connect with the hilly landscape of Athens, that is bound by the deep blue Aegean Sea. Since its official opening in 2017, it has successfully drawn in large crowds who are eager to explore the newly built polis and sign up to a raft of free programmes and events. 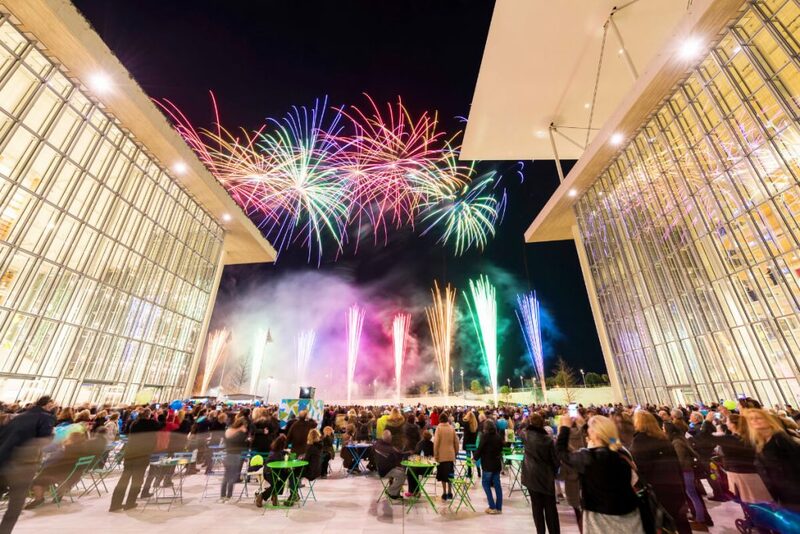 From walking tours, sailing and ice-skating in the winter months, the SNFCC is living up to its mandate of a cultural centre, offering a full calendar of art, music, opera and dance throughout the year. Through minimal architectural interference, this building will continue to prosper against the backdrop of its natural environment but more so, through the gathering of people who will ultimately make it a very Athenian way of life. The site, located 4km south of central Athens, is in the district of Kallithea (which means “good view”) on the Faliro Bay shoreline and was once a racetrack. The 617-million-euro development was fully funded by the Stavros Niarchos Foundation and has now been donated to the Greek State. 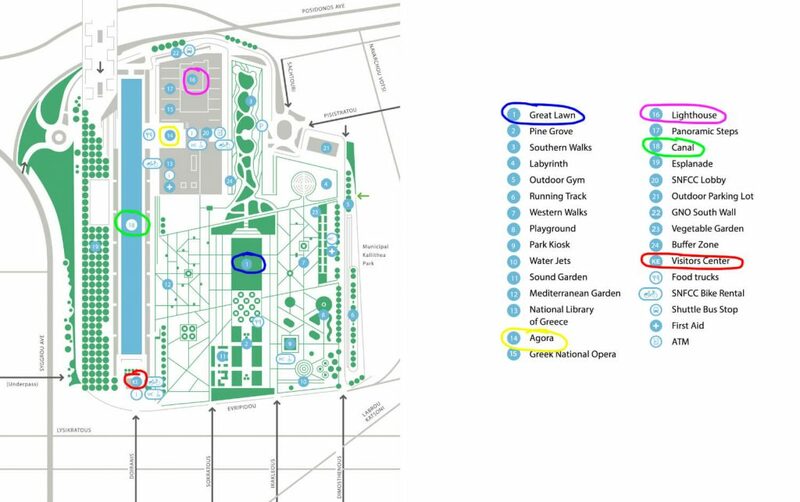 New York based landscape designer Deborah Nevins & Associates collaborated with Athens based landscape artists, Helli Panagalou and Associates to conceive a park with indigenous Mediterranean plants.